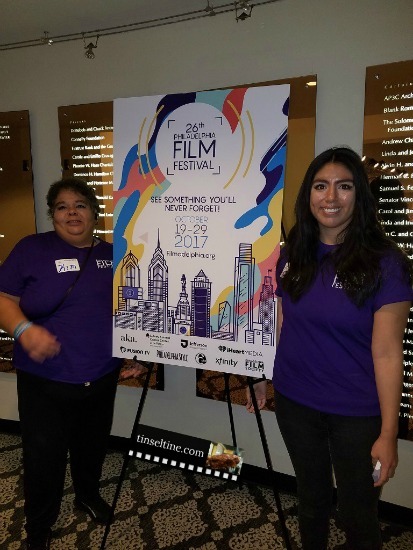 POST UPDATE 11/1/2018: #PFF27 - BE SURE TO CHECK OUT 2018 Philadelphia Film Festival RECAP TOO! 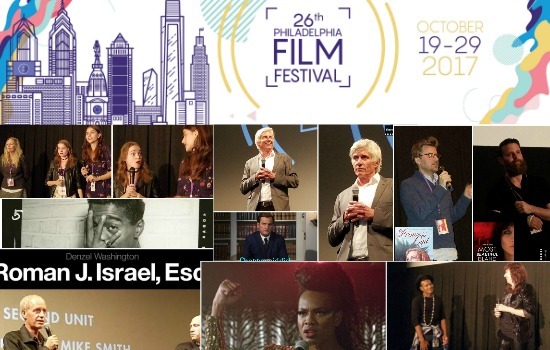 I'm so glad this film completed my screenings at the 26th Annual Philadelphia Film Festival, as it ended things on a high note. Sammy Davis Jr: I Gotta Be Me is part of the PBS American Masters series and is marvelously put together. I highly recommend it for anyone who really loves the nostalgia of show biz and what it truly means to be a performer. 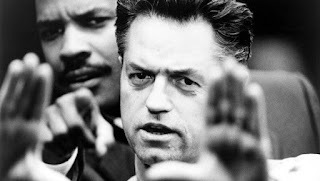 I never really thought about Davis as a polarizing figure, making political headlines or on the front lines of the Civil Rights movement. The film also gave me a better appreciation of his versatile talent and staying power. By the time we see Gregory Hines & Michael Jackson paying tribute to Davis at his 60th Anniversary TV special, I was moved to tears. ANIMATED SHORTS PROGRAM - LEGAL SMUGGLING WITH CHRISTINE CHOY | Lewie Kloster | USA | English | 2016 | 4 min - Christine Choy undergoes an adventure of wild proportions when she accidentally illegally smuggles cigarettes. This was the best film in the animated shorts program, so funny and creatively drawn. Above is an interview from Sundance 2017, with the filmmakers. I can't believe they had no idea how to animate the drawings when the began. ALASKA IS A DRAG writer/director Shaz Bennett - This cleverly titled film centers around twins Leo (Martin L. Washington) & Tristen (Maya Washington) living in a trailer in a very depressing looking part of Alaska. Leo works at a fish cannery being bullied by the other works, one in particular, Kyle, used to be his friend until he found out Leo was gay. Tristen is getting chemo for Hodgkin lymphoma and they both want out of Alaska ASAP! The film has a lot of potential, Margret Cho & Jason Scott Lee have strong cameo roles. The romance blooming between Leo & new fish cannery worker guy Declan (Matt Dallas) is sweet. The problem for me is the film’s a bit too repetitious. How many times did we see that same basin of fish sliding down the assembly line thing to be gutted, leading to a Leo/Tristen post-chemo voguing session? Although, obviously written to effectively show both the drudgery of their day to day and the fabulous ways in which they manage to rise above - I felt like we could have gotten a bit more story and a much better Drag show. Mild-mannered, middle-aged Endre (Géza Morcsányi) performs his daily routine as the financial director of a slaughterhouse with bemused detachment. 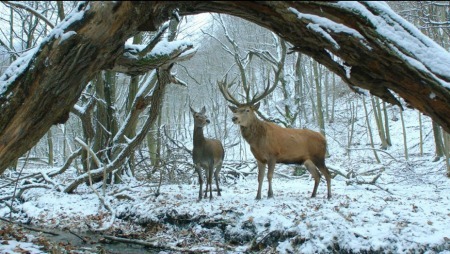 The shy, awkward demeanor of new quality controller Maria (Alexandra Borbély) initially irks Endre, but these two misfits find an unlikely reason to connect when they learn that they’ve both had the same nightly, pastoral visions of two deer meeting in the woods. This was one of the quirkiest love stories I've ever seen, very strange and strangely beautiful. She's on the autistic scale somewhere between severely socially inadequate and OCD, and he's got a useless arm and not much personality either; yet you can't help but to root for their awkward, hapless attraction. GOLDEN EXITS Starring Jason Schwartzman, Mary-Louise Parker, Chloe Sevigny and Emily Browning, great cast playing despicably vacuous characters in an excruciatingly toneless, misery of a movie. Every other person I talked to at the festival lounge after seeing this film, hated it, both film-goer and critic alike. But when I go on Rotten Tomatoes it's got great reviews. Who can figure!?! 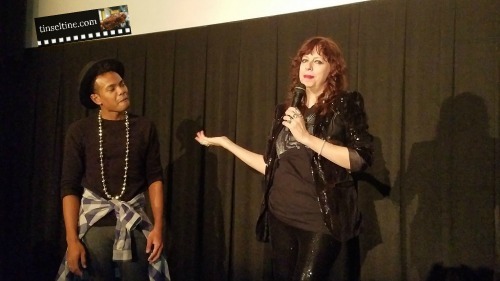 I went back to my PFF23 post when Perry attended the festival, to see if I liked his first film LISTEN UP PHILIP, I didn't really say, but I did put up a good post screening Q&A click HERE to listen. 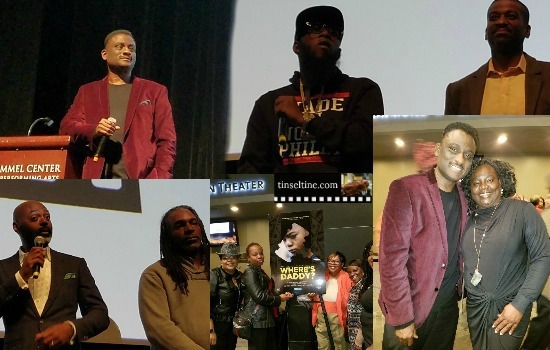 Day 9 was Friday and I didn't attend any screenings at PFF26, instead I went to the Kimmel Center for the premiere of Philly Filmmaker Rel Dowdell's documentary WHERE'S DADDY? 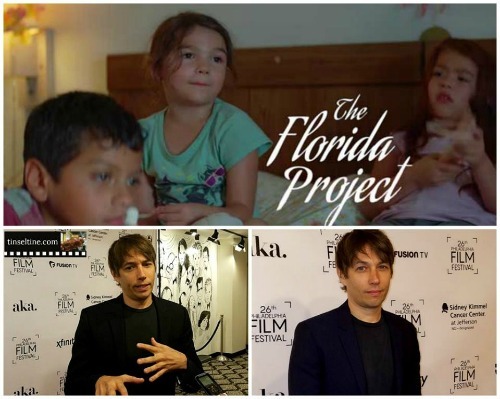 a film about the issues surrounding the injustices of the Family Court system told from the perspective of fathers. Rel and I have mutual friends in common and have hung out socially, so it was a particular treat to be there to support his film. I will create a Where's Daddy? post soon, which will include a Q&A with director and cast. After Rel's screening I was in the perfect place to attend PFF26 Closing Party as it took place on the rooftop of the Kimmel Center. 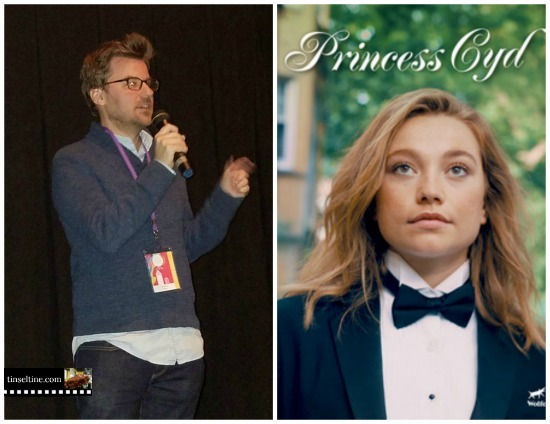 Writer/Director STEPHEN CONE was in attendance to answer questions about his latest film PRINCESS CYD (See Q&A video below) - a lighthearted story of Miranda (Rebecca Spence) a semi-famous writer in Chicago, who finds herself entertaining her 16 year-old niece Cyd (Jessie Pinnick) visiting for the summer. Cyd's mother, Miranda's sister, died almost 10 years ago and it seems as though the sisters were on good terms, so it's unclear why she hasn't kept in better touch with her niece, as Cyd & Miranda barely know each other, in fact, Cyd has never read any of Miranda's work. What Cyd really seems to be into this summer is exploring her sexuality with girls and boys alike, and doesn't understand her Aunt's seemingly celibate lifestyle. 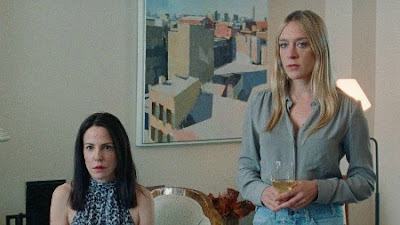 "Princess Cyd" is a very enjoyable film - not a lot takes place, yet you feel like you just came from a lovely gathering where you made new friends. Best of all, Miranda in the film is asked the question "What gives you the most joy in life?" And she answers, CAKE!! !🍰 That's always my answer! 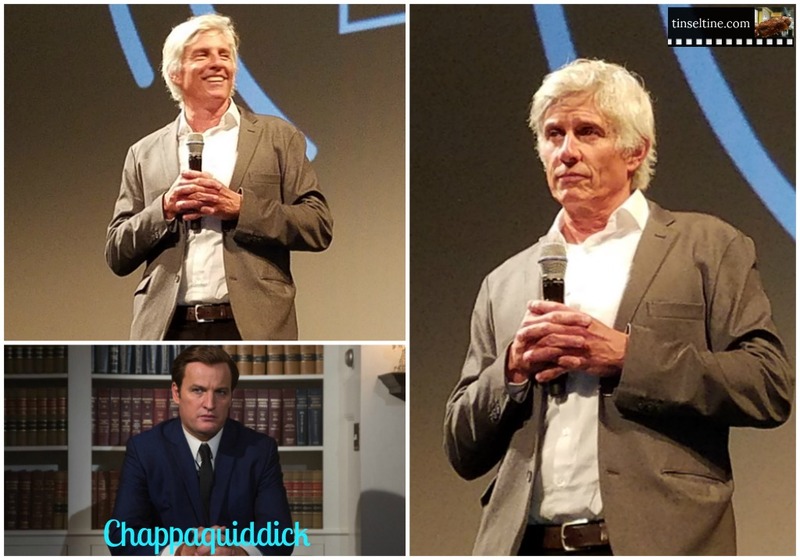 Gilroy has written a role about an autistic savant, socially awkward, Civil Rights attorney who sells out his principals and beliefs when he tires of living hand to mouth and gets an opportunity to work for a much larger law firm. It stars DENZEL WASHINGTON as you’ve never seen him before: 50 lbs overweight, 70’s fro, walking like a schlump and subsisting on peanut butter. 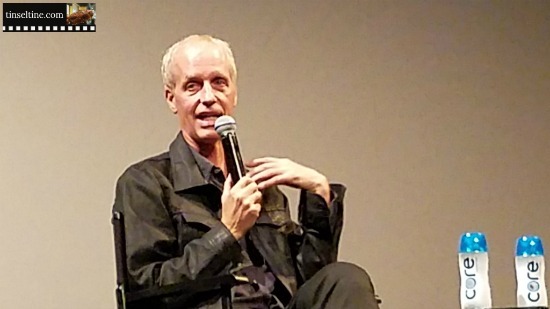 Gilroy says Washington was instrumental in not only bringing Roman into being, but was a creative force for the entire movie. Similarly to Gilroy’s Oscar nominated film “Nightcrawler” (w/ Jake Gyllenhaal), “Roman J. Israel, Esq” is both a fantastic character study and a commentary on our society - this time examining our broken judicial system and the line between morality and opportunity. I think this may be another Oscar contender! A tense, harrowing look at the dark side of the American dream, this thriller follows a young immigrant as she risks everything to scrape together a living in dog-eat-dog New York City. This film is fantastically nerve-racking, Not only the climax, but I was feeling every ounce of her stressful day leading up to the party. Then once I recovered from the events of the evening; I started thinking about what brought her to New York in the first place and realized there was a part of her that needed something so drastic to take place in order to forgive herself and move on, almost as if she earned a second chance in life. 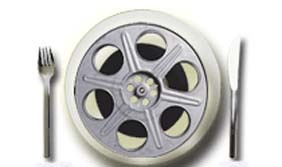 I screened a Greaterfilmadelphia film, which means it was shot in or around the Philadelphia area. 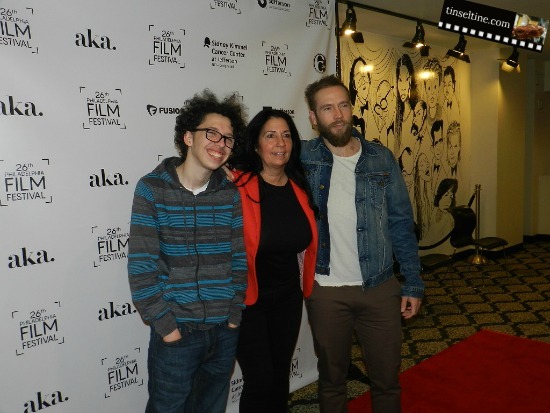 It included a quick red carpet interview with Philly filmmaker MARK WEBBER - FLESH AND BLOOD was filmed in North Philadelphia, based on real life events. Webber intentionally straddles the line between narrative & documentary, as he comes to terms with past mistakes and examines family dynamics. His actual mother Cheri Honkala and brother Guillermo Santos have no difficulties being both actors and themselves as they lay their lives out there for us all to see. Cheri actually ran for Vice President of the United States under Green Party candidate Jill Stein in 2012. As a starting point for the film, Webber's own character is getting out of prison, having done a 5 year stint and is now ready to make a fresh start. In real life, Mark Webber has not done jail time. However, this device works well as a reason to get into his family's dysfunctions. Actress Madeline Brewer is also in the film as Mark's ex-girlfriend, her character has had a baby with another man while he's been away. It was driving me crazy during the movie trying to remember where I knew Brewer from and couldn't wait to IMDB her after the film. She's Janine from The Handmaid's Tale, I didn't recognise her with 2 eyes! 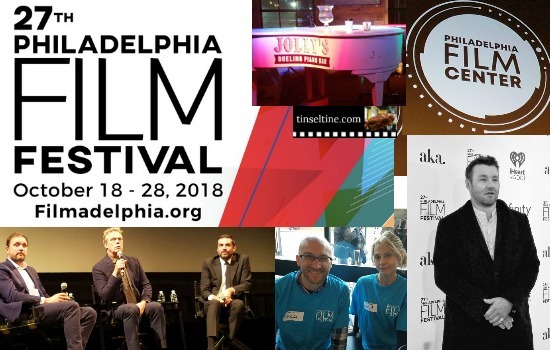 Last night's Philadelphia Film Society PHILADELPHIA FILM FESTIVAL opening night party was at CODA after a double screening of the opening night film... I, TONYA - Movie - dir. 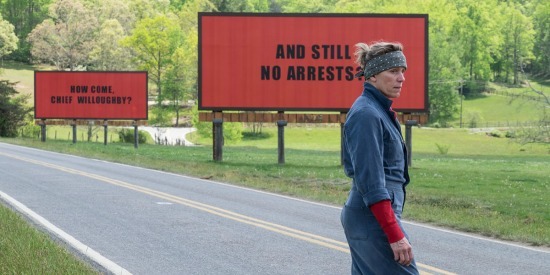 Craig Gillespie - It's good - Part Mockumentary, Part Drama, Part Comedy, sometimes even talking to the 4th wall, but the whole concept worked well. Margo Robbie did her best to play low class, but it's not in her face, it was hard to believe she wouldn't be accepted by the skating world due to her trailer trash upbringing because even with bad wigs and cheap clothes, she still looks very acceptable. Amy Schumer would have been a good choice, if she slimmed down a bit. Amy Adams could definitely have pulled it off, but she's just too old. Allison Janney as Tonya's abusive, tough talking, chain smoking, bird lovin Momma was a hoot! Foodie Note: This Year's Festival Lounge: 33 S 3rd Street great place to hang between screenings FREE Munchies! Foodie Note: Ariana Afghan Cuisine (134 Chestnut St) will give you 5% off your entire bill (eat in only) if you mention Tinsel & Tine sent you! (Offer good from October 16th - November 6th, 2017). 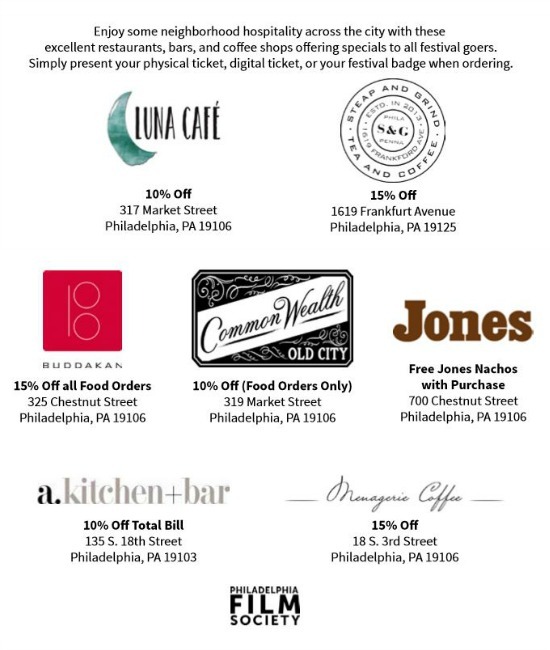 Tinsel & Tine is listed as Community Partner for these Foodie Films & We're Giving away Tickets to each of these films, be sure to Subscribe to our Newsletter to Enter!